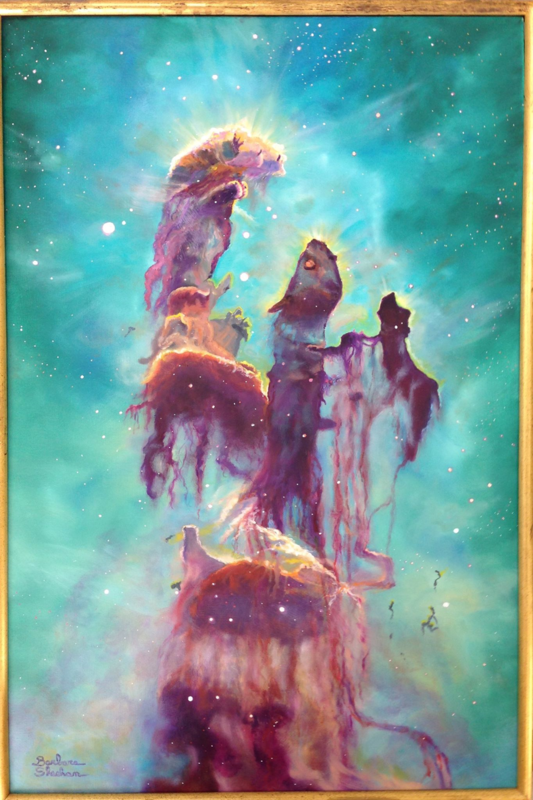 Pillars of Creation is oil on canvas, 24 x 36 inches. This is the ninth in a series of eighteen paintings based on the Hubble Space Telescope images. I love trying to capture the beauty of the clouds and gasses. Although this is one of my smallest paintings, it took the longest to complete. I strive to stay true to the original image. This artwork is copyright © Barbara Sheehana. All rights reserved.